Besides being the capital of Italian economy, Milan is also an important tourist city. 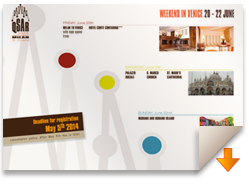 There are several places to visit (such as museums and churches) and hosts expositions and events. 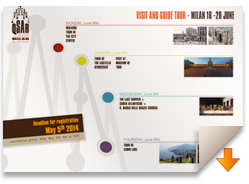 Moreover, Milan is one of the most important fashion capitals worldwide. We are preparing more detailed suggestions and trying to organize a programme for accompanying persons, meanwhile you can have a look at the Milan page of this website.